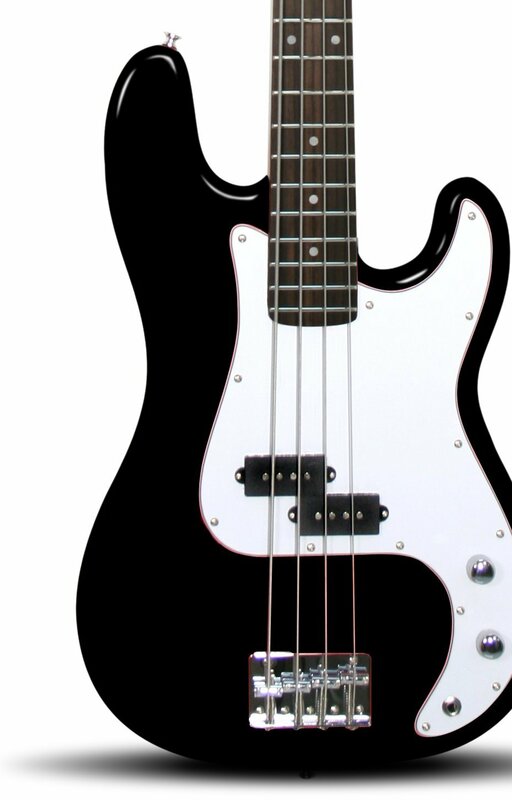 This Rockburn bass guitar is the right solution for beginners as well as intermediate guitarists who are seeking a reliable, affordable and at the same time very eye-catching bass that sounds, looks and plays great. The Rockburn bass is a full size, 33.5 inches scale length guitar featuring 21 frets with a very classic design. In order to achieve great sound, volume and tone controls have been added to the single coil pick-up P-Bass split, which is responsible for that punchy sound. The guitar’s machine heads are made of chrome and are open style. When put over the shoulder, this beautifully designed and balanced guitar gives you confidence and allows you to play and move with ease. If you are a beginner or intermediate level guitarist, we think that this Rockburn PB style bass electric guitar is the right choice. It is great for recording at home or performing live on stage. Its design is noticeable and the sound is amazing. 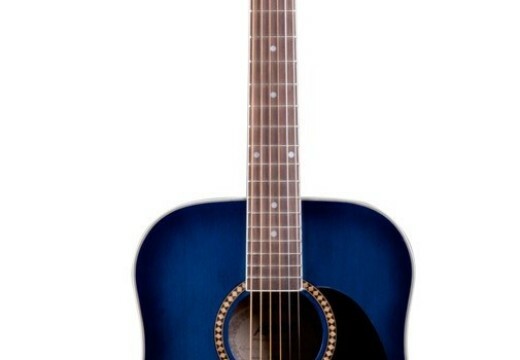 The price is also great for this type of instrument and can make a great first guitar present. Don’t expect to perform professionally with it as it is still just a beginners’ musical instrument however it can give you the confidence to progress further your skills. We also think that this bass guitar is very sturdy and well constructed thus making it a strong and long lasting instrument.